Earn a minimum of 12 transferable credit hours in the fall semester. Students will take courses designated by Trident Technical College for students participating in Charleston Bridge. Earn at least a 2.6 cumulative grade point average (GPA) for the fall semester. GPAs are usually determined by the accumulation of course credits, individual grades and semester hours spent in the class. A 2.6 on a 4.0 scale is approximately a letter grade of B. Students can use the GPA calculator to estimate the fall semester GPA. Previous grades received at Trident Technical College (if applicable), dual enrollment credits, or AP credits are not considered. Only the fall semester cumulative GPA is used for spring admission decisions. NOTE: When using the GPA calculator please note that Trident Technical College does not award + or - grades. Successfully complete the mandatory Charleston Bridge Student Success Seminar (CBSSS). Successful completion includes attendance at all 7 of the seminar meetings occurring from August 26 through October 7 2019, submitting seminar assignments online using OAKS, and meeting as requested with the seminar instructor or Charleston Bridge mentor. Seminars are held on Mondays from 5:30p.m. until 6:15p.m. The seminar does not count toward credit hours or the cumulative GPA. Use the College of Charleston Center for Student Learning (CSL) services at least 2 times during the fall semester. Students may satisfy this requirement by attend a CSL study skills workshop, meeting with a tutor, or using the Center's walk-in lab services to meet the CSL requirement. To record service use, students should sign in at the CSL or record their attendance on the workshop attendance sheet. The CSL is located on the first floor of the College of Charleston Addlestone library. NOTE: The College of Charleston reserves the right not to offer spring admission to students with reports regarding academic concerns, plagiarism, behavioral issues, violation of residence hall policies, vandalism, behavior that is violent, threatening, disrespectful or discriminatory in nature, involvement in illegal activities or violations of the honor code. Students must complete the housing/meal plan application and orientation registration by May 1 or the offer to participate in the program will be rescinded. Students must reside in one of the bridge designated College of Charleston residence halls. 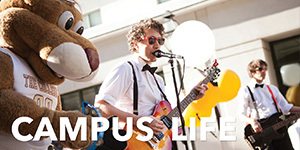 The deadline to sign up for campus housing is May 1, 2019. 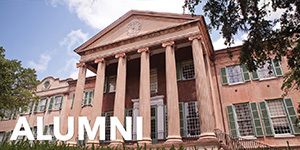 Residing on-campus is a requirement of all students participating in the program, even if the student is a resident of Charleston. Bridge designated residence halls include Berry, Buist, Craig, or Liberty. Students will be matched with a roommate who is also participating in the Charleston Bridge program. Please note the housing contract is for the fall and spring semester. Questions about campus housing should be directed to housing@cofc.edu. If you would like to connect with other Charleston Bridge students about roommate possibilities, please visit the Charleston Bridge Facebook group. Students must select a College of Charleston meal plan. This is done when the housing/meal plan application is completed. First year students may choose from the following meal plans: All Access Diamond + 300 Dining Dollars, All Access + $100 Dining Dollars, or the 12 Meals per week + $275 Dining Dollars. For more information access dining services Frequently Asked Questions. Additional questions can be directed to Dining Services. Students will work with a Trident Technical College advisor over the summer to arrange a fall course schedule. Course descriptions can be found on the Charleston Bridge Orientation webpage. TTC advisors will contact students by phone after May 1, 2019 and before July 19, 2019. Students are encouraged to view the course descriptions and select classes of interest prior to the advising conversation. Charleston Bridge students attend the Charleston Bridge Orientation on July 19, 2019. The morning session will occur at Trident Technical College main campus and the afternoon session will be held at the College of Charleston. The deadline to register for orientation is May 1, 2019. Families are welcome, but are not required to attend the orientation. Students should plan to participate in orientation activities from 8:00am until approximately 5:00pm. Details about orientation registration will be emailed to student's CofC email account from the College of Charleston's Office of New Student Programs. Questions about orientation may be directed to orientat@cofc.edu. 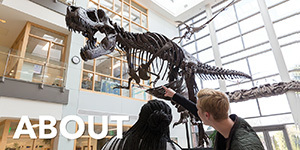 All fall tuition and fees (including meal plan and housing) must be paid in full to Trident Technical College by the August 1, 2019 due date. Students with a balance due past the payment deadline will not be allowed to move into the College of Charleston residence hall and fall courses will be dropped by Trident Technical College. Students should complete all financial aid steps that may be needed before the payment due date. Students must attend New Student Convocation held at the College of Charleston on Monday August 19, 2019 from 9:30-11:30a.m. Students may request fall schedule changes by the Add/Drop deadline. Schedule changes can be completed with a TTC advisor before arriving on campus. Once a student has moved into the residence hall, schedule changes may be submitted by the drop/add deadline to the College of Charleston Office of the Registrar no later than 5:00pm using the appropriate Add-Drop form. This form may be accessed from My Charleston. Go to the academic services tab and select the form found in the Charleston Bridge channel. Students must complete all of the fall program requirements to be considered for spring admission to the College of Charleston. Students have a Trident Technical College email account and a College of Charleston email account. Students should check both accounts frequently during the summer and fall semester. In most cases TTC faculty will contact you using your TTC email and CofC staff will communicate using your CofC email. Students pay Trident Technical College tuition and fees for the fall semester. All financial aid and bill payment will be handled by Trident Technical College for the fall semester. No payment should be sent to the College of Charleston for fall tuition and fees (including the residence hall and semester meal plan). 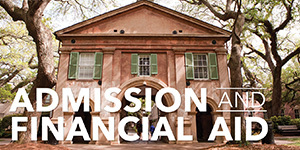 Admitted students will pay College of Charleston tuition and fees in the spring. Charleston Bridge students may not participate in the summer SPECTRA program offered at the College of Charleston. 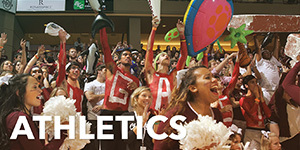 During the fall semester, Charleston Bridge students may not participate in Greek Life, ROTC, pep band, the College of Charleston Cheer & Dance team, theatre or musical production that require College of Charleston course enrollment, or play on a varsity sports team. These opportunities are available to students admitted for the spring semester. Students may not be employed on the College of Charleston campus in a job that provides hourly wage or an activity that provides a stipend payment. Students admitted to the College of Charleston in the spring may be employed on campus. Students may not participate in activities that require College of Charleston fall course enrollment. These opportunities are available to students admitted for the spring. The on-campus housing contract applies to the fall semester and if admitted, the spring semester. Admitted students will attend an advising/registration event to receive pre-enrollment information and enroll in spring classes. Admitted students will transition into the College of Charleston as a First-Year Impact student and are expected to meet Impact program requirements during the spring and the subsequent fall semester. This includes meeting with a Peer Academic Coach during the spring and fall semester and earning a minimum 2.0 cumulative GPA to continue enrollment at the College of Charleston. Students not meeting Impact requirements will not be able to continue enrollment at the College of Charleston. If you have questions about the First Year Impact program contact the Center for Academic Performance & Persistence. Grades and other Charleston Bridge program requirements will be evaluated when fall final grades are posted. Final grades can be viewed in the TTC Express section of the my.tridenttech.edu student portal (http://nsp.cofc.edu/bridge/grades.php). Students who successfully meet Charleston Bridge program requirements will receive notification sent to the CofC email account from the College of Charleston Office of Admissions extending an offer of spring admission. Once students receive the spring admission decision email from the Office of Admissions, the Office of New Student Programs will send an email to admitted students about advising and spring course registration. During this time students will be officially welcomed to the College of Charleston, learn more about academic support services, hear about IMPACT program requirements and receive information about degree requirements from the academic advising staff and register for spring classes. A registration hold preventing spring course registration is placed on all student accounts until the advising and registration process is completed. This cannot be completed at home or at an off campus location. If you have questions about the advising and registration event, email the Office of New Student Programs at orientat@cofc.edu. Students not meeting requirements will receive an email from the College of Charleston Office of Admissions denying spring admission. Students must remove all personal belongings from the room and vacate the residence hall no later than noon, December 11, 2019 The College of Charleston is not responsible for items left in the room after this date. Students may consider continuing studies at Trident Technical College or another university. 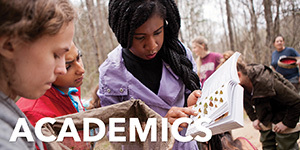 Information about requesting an official academic transcript from Trident Technical College can be found at https://www.tridenttech.edu/academics/transfer/ac_transver.htm. It is possible to transfer back to the College of Charleston in the future if transfer admission requirements are met. The Transfer Resource Center can assist students who wish to pursue a degree at College of Charleston. Appeal Deadline to submit narrative & letters of support: By 2:00pm, Monday December 9, 2019. Every student who is not offered admission to the College has the right to appeal the decision. A student should only appeal if there are substantial mitigating circumstances that occurred during the semester preventing the student from meeting all of the Charleston Bridge program requirements. The student-written appeal should be typed and emailed to bridge@cofc.edu from the student's College of Charleston email account or a hard copy submitted by the student to the Office of New Student Programs. The Office of New Student Programs is #4 on the campus map - this is the brick building behind Berry Residence Hall and in front of the entrance to McAlister Residence Hall. Late appeals will not be accepted. Please refer to the section below about the information needed in an appeal letter. Supporting letters can be included with the appeal but must be received by the appeal deadline. The committee reserves the right to request a personal interview with the student for additional clarification about the appeal if needed. Letters from family members should not be submitted as letters of support. The committee will review appeals as well as the program requirements that have been met and render a decision. The appeal decision will be sent to the student's CofC email by the Office of Admissions. Appeal decisions are final. Students with approved appeals must attend orientation in January to complete spring course registration. To appeal the student must provide a personal narrative explaining any mitigating circumstances and discuss the steps that were taken to resolve, change, or improve the circumstances during the semester. NOTE: A mitigating circumstance is one that is out of the student's control - experiencing a challenging transition to college, course difficulty, failure to check email, missing assignment deadlines, not attending class, poor test grades, faculty teaching style, failure to understand course material, test anxiety, poor study skills, excessive absences from class, exceeding the course attendance policy, technology issues (TTC or CofC), no access to the course textbook or related materials, unresolved roommate conflicts or poor relationships with suitemates etc. are not considered to be mitigating circumstances. Fully explain the mitigating circumstance(s) that occurred during the semester that prevented you from meeting program requirements. If medical circumstances apply, include a statement about the need for medical attention (including prescription of medication or changes in medication) during the semester. If family circumstances apply, provide as much detail as possible that would help the committee fully understand the circumstances. State reason(s) why you earned the grade you did in each course or lab below a grade of C.
Describe the off campus or on campus resources that you used for support during the semester to help resolve the circumstances such as working with a therapists or medical professional, meeting with course faculty, use of disability services, working with a counselor, meeting with an academic advisor, consulting with residence life staff, seeking help from the IT helpdesk or use of academic support services offered by the Center for Student Learning etc. (there will be follow-up with campus services, faculty, or staff to verify the student use). State what you plan to do differently and the specific steps you will take in the upcoming semester to ensure that minimum academic standards are met. In closing, include an explanation about why you wish to be admitted and continue your studies at the College of Charleston. Letters of support are not required but can be helpful to the appeal committee when making appeal decisions. Letters of support from a doctor, counselor, faculty, staff, seminar instructor or a Charleston Bridge peer mentor may accompany the student's appeal narrative. Individuals writing letters of support may email their letter of support to bridge@cofc.edu. Submitting documentation verifying circumstances such as medical documentation etc. is highly encouraged and should be submitted if available. Letters of support must be received by Charleston Bridge staff in the Office of New Student Programs by the appeal deadline. Charleston Bridge program requirements are outlined in the Participation Agreement that students sign. The College of Charleston reserves the right not to admit students with reports regarding academic concerns, behavioral issues, violation of residence hall policies, involvement in illegal activities, violations of the honor code including plagiarism or submitting the work of others, or exhibit conduct that is threatening, harassing, violent, disruptive, abusive, discriminatory or causes the discomfort of others even if all program requirements are met. At the core of the College of Charleston community are individuals from diverse backgrounds whose lives are intertwined in support of the uplifting of the human condition through comprehensive studies. As with all communities, there is a moral code of ethical behavior that binds participants together and a body of official rules and regulations that defines personal freedoms and responsibilities. They apply to all members of the college community and are intended to promote an atmosphere of trust and fairness in the classroom and in the conduct of daily campus life. Students with an outstanding bill remaining at the end of the fall semester with Trident Technical College (TTC) will have their official academic transcript withheld. Although students may be eligible for admission based on the completion of all requirements, the spring admission process cannot move forward until payment has been received by TTC. The outstanding bill could be a result of not completing the financial aid process, failure to complete required paperwork, not making payments on a semester payment plan, etc. No course registration can occur until the academic transcript is received by the College of Charleston. Please direct any questions regarding billing to the Trident Technical College account receivable area. The contact for this area is Ms. Gamellia Davis and can be reached by phone at 843-574-6117 or by email at Gamellia.Davis@tridenttech.edu. The College of Charleston would be unable to advise you regarding your account since all payments and financial aid are processed by Trident Technical College. Faculty, staff, students, friends or family can report a student of concern so the student can be referred to the appropriate campus resources. Information and instructions about reporting a student of concern can be found at http://deanofstudents.cofc.edu/fast/index.php.